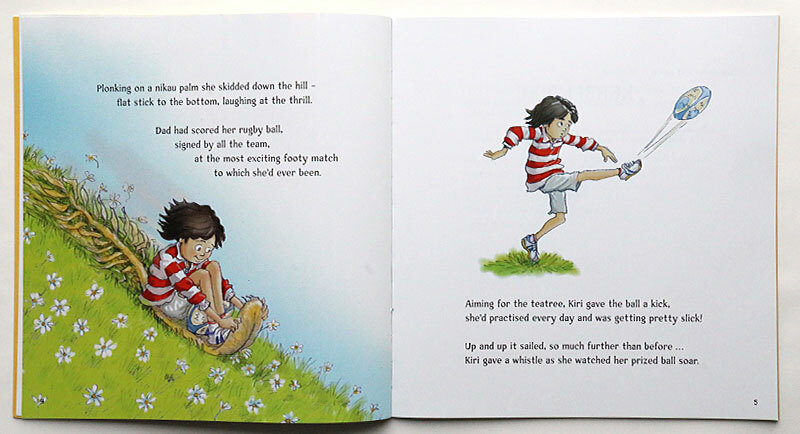 In this version of the Grimm Brothers' 'The Frog Prince', Kiri kicks her prized rugby ball into the creek. It is retrieved for her by Archey the frog, who in return demands to sit on a soft pillow, eating chocolate fish and watching rugby on the big-screen TV! Kiri's annoyance turns to surprise then joy, when, in the excitement of winning the game, she kisses Archey and he turns into an All Black! I needed to research more NZ native creatures before writing the Kiwi version of 'The Frog Prince'. I was pleased to discover that New Zealand does in fact have four species of native frogs, the smallest of them being the Archey's frog. 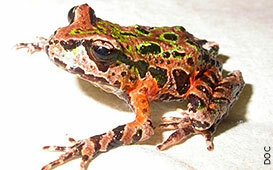 It has several distinctive features, which make them very different from frogs elsewhere in the world. They have no external eardrum. They have round (not slit) eyes. They don't croak regularly like most frogs. They don't have a tadpole stage (instead the embryo develops inside an egg, and then hatches as an almost fully formed frog). The young are cared for by their parents – the male Archey's frog carries his young offspring around on his back. This was the title of the original manuscript I submitted. 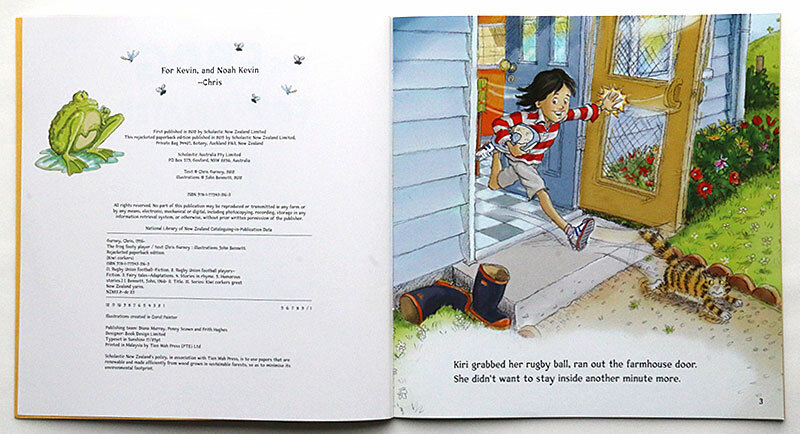 However, the Scholastic publishing team had to check with the NZ Rugby Union about including the words 'All Black' in the title, and the use of illustrations that were representative of an All Black throughout the book. We were allowed to use the words 'All Black' in the book, and with the illustrations, but not allowed to use 'All Black' in the title, nor make the cover representative of All Black/NZRU branding, without paying license fees. 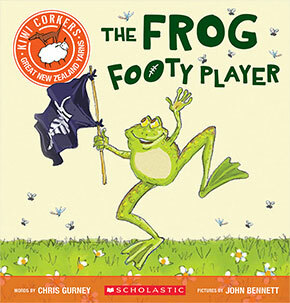 So that is how and why the title was changed to 'The Frog Footy Player'! Help Archey find his way from the creek to his soft pillow at Kiri's house! Frog the Footy Player Word Search. Frog the Footy Player Word Search Experienced.